Foreward by Matt Diggity:In a moment, I’m going to pass the mic over to Tom De Spiegelaere. 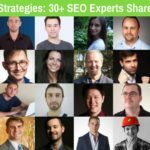 You may have met him before when I interviewed him about his journey from client to affiliate SEO. If you haven’t heard it, check it out. Tom is a heavy hitter in affiliate SEO these days and member of The Affiliate Lab. 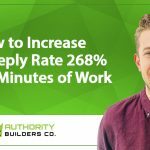 In this guest post, I’ve given him permission to discuss one of The Affiliate Lab’s techniques called the Site Size Explosion, which can be used to unstick stubborn rankings for your website. This works for both affiliate and client/local sites. 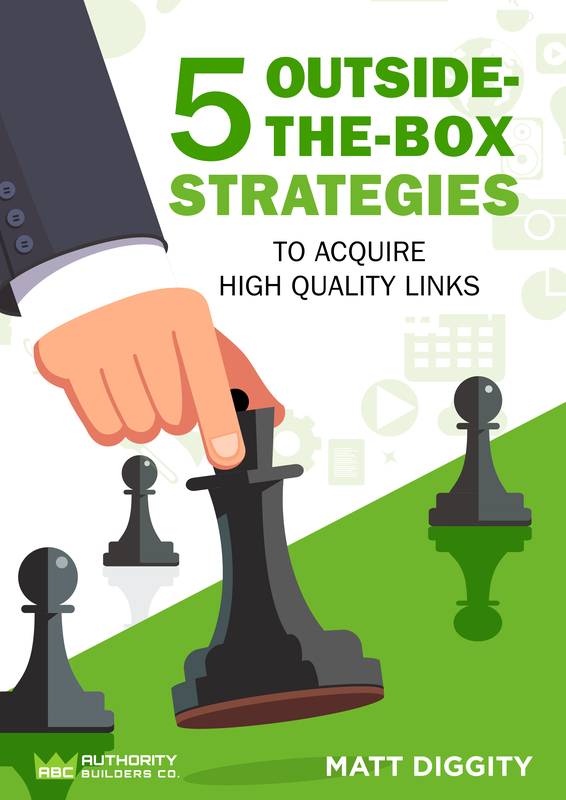 This is the story of how I leveraged supporting content and featured snippets to get a foothold in a competitive niche, which gave me early $$$ to invest in link building and boost my ranks in the top 5. Without this strategy, getting in the top 5 would have required a massive upfront cost… which was now drastically reduced thanks to the monies the featured snippets are generating. Once upon a time (around March 2018 I’d say), I had this issue with two money pages on an already quite powerful domain. These pages were stuck in the serps. No matter how much content I added to the pages, no matter how many links I bought… their primary keywords kept swinging from the top of page 2, to the bottom of page 1, and back again. These pages are targeting the tech niche in the UK, the keywords themselves are quite competitive, but pretty darn lucrative, as it is with most competitive niches. While searching around for answers in the usual FB groups, one SEO mate suggested it could be a supporting content issue… something up until that point I hadn’t considered as I thought I had enough supporting content and never had this issue before. Then I remembered that The Affiliate Lab course had a section in there about how to use supporting content to boost money pages (called the Site Size Explosion (SSE)). Turns out my idea of what supporting content was, was absolutely useless. I thought it was just about writing content and decent interlinking – maybe make sure it ranks for some super long tails, that’s about it. 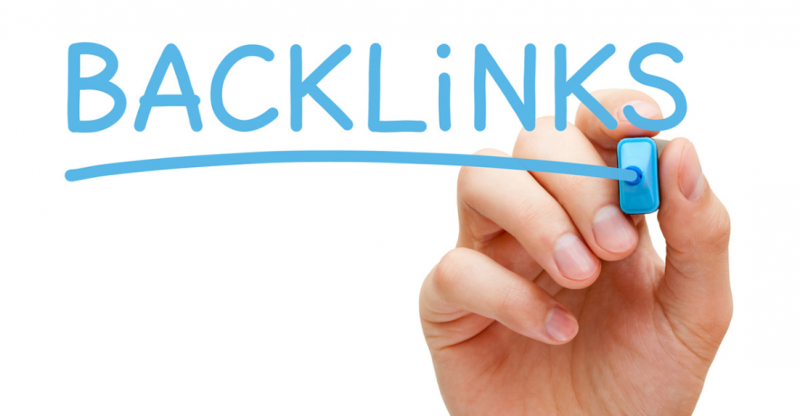 The key to supporting content is a combination of backlinks, rankings, and decent traffic. So I started creating supporting informational content, the way I was creating money pages. 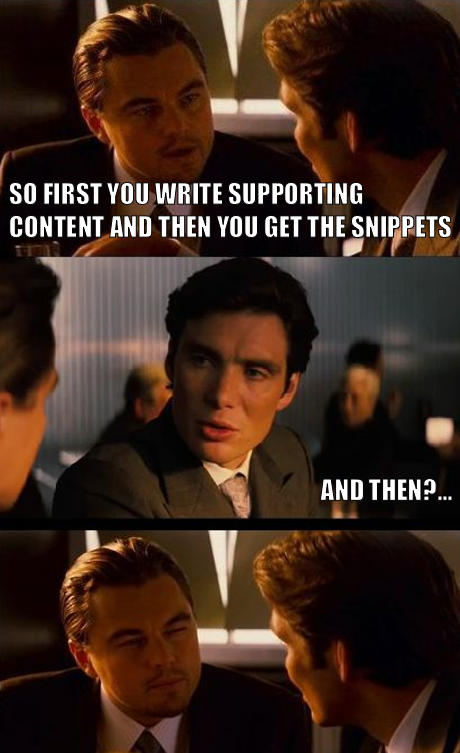 This is the process I go through to create supporting content that actually moves the needle and helps boost its parent money page(s) in the serps. Pretty straightforward, I use Ahrefs to pull all ranking keywords from my competitors (top 3), then filter the list in excel to find the low comp, decent volume gems. This isn’t very hard if you focus on informational keywords rather than commercial ones. Try their “content gap” feature. It really speeds things up. Write the content or outsource it. For supporting content, I usually don’t check competition on their content length, I just go with a minimum of 1000 words. Build the content around the topic, letting the keywords integrate naturally. As for on-site SEO for these pages, just make sure you’ve got a decent keyword rich meta-title, an intriguing meta-description so you can get a good CTR when you do hit that top 5, and use all the basics like H2/3s, don’t over-optimize, images, alt-tags, etc (check Diggity’s on-page SEO guide). As for the URL, most of my supporting content pages are children of the money pages (root.com/moneypage/supportingcontent). Obviously, link to your parent money page using whatever anchor you want (I’m fairly aggressive with internal anchors), and then interlink between other supporting pages, while staying in your topical island for whatever you’re trying to rank your money page. Building links (I use guest posts) to these supporting content pages is, for me anyway, the secret sauce. While it might seem very obvious, the difference between supporting content with no links, and content with even a single link, is like day and night. I can’t stress this enough, w/o links, supporting content is almost useless imho. Add a single link, and suddenly you’ll be seeing boosts in the ranks of the content itself, the money page it links to, and whatever other content the page links to… it’s insane the difference a single link makes. As for anchors, the vast majority are branded/generic. 5 PBNs: 3 to one money page, 2 to the other. So that when those 2 money pages did hit the top 10 (and stayed for once), I could grab as many snippets as possible and start getting the money back I spent on all the content, guest posts and PBNs. The snippets in my niche are all based on lists, so no tables or simple bullet points. We’re talking full-on lists with each item having a title (H3) and a few paragraphs of content. When you make any on-page changes, in the majority of cases, you can check if you got the snippet the moment Google re-indexes that page (I mainly used GSC’s fetch and render to do this). This makes the process of refining the strategy super quick. That being said, Google updates can undo this at any point, I’ve lost and gained a lot of snippets during the massive turbulence over the past few months, but I always maintain a healthy amount of them. It doesn’t matter how many list items you add. Even if your competition has less than half the amount of list items, if they have the upper hand on quoting stats, figures, facts, per item… they will win the snippet. But then I started adding product specifications in a clear pattern for every list item, suddenly I got the snippet (even after I cut the number of items down again). The list title itself is an H2, the list items have H3s as title, and for an extra step, you can add H4 subsections within those list items that expand on specific features or product specifications. I’ve seen a definite positive movement from doing this. This means that if you mention product specifications, or talk about specific features in your list items, make sure those are then in every list item, in the same order. Make an obvious and easily digestible pattern. This isn’t something I tested, but I do this by default, you might consider doing the same… but again, I did not actually test this. The supporting content strategy boosted every page in that topical island on the domain, and most importantly, boosted my 2 money pages into the top 10, with most primary kws having stable positions from #5 to #8. Using what I learned from testing the snippets, I managed to get the featured snippets for most high comp kws, even though sometimes I’m only like on position 8 for the keyword. Once I started seeing more $$$ coming in from having those snippets, I re-invested it back into those money pages, which at the time of writing have multiple high-comp kws in the top 5, as well as having those snippets. A brief note about the August update: I added the semi-final version of the featured snippets to these 2 pages around the end of July, and then the August update hit. This update actually boosted my ranks a lot across multiple projects, so that was a nice bonus! SerpRobot AVG position: A very nice increase over time, tracking 102 kws. Ahrefs # of organic keywords: Also some decent growth thanks to the supporting content lifting the entire topical island on the domain. July: $1400 <- end of July is where I added the featured snippet structure. It’s a fun way to try grab easy-ish ranks and $$$ if you’re stuck in a niche with a lot of featured snippets! Use the Site Size Explosion technique: to grow the amount of topical content and link to it. Once you’re in snippet stealing position, take them. If anyone comes up with a cool name for this combo strategy, let me know in the comments below. how quickly did you build those Guest posts? Did you use any social signals? Because the guest posts were drip-fed to multiple pages at the same time, it’s a difficult question, a few a week per page I’d say. I do use social signals on every page I plan to build links to. Personally, I don’t think that’s the case (yet), at this point it’s more about the structure of the page rather than trust imho. Great Post Tom! 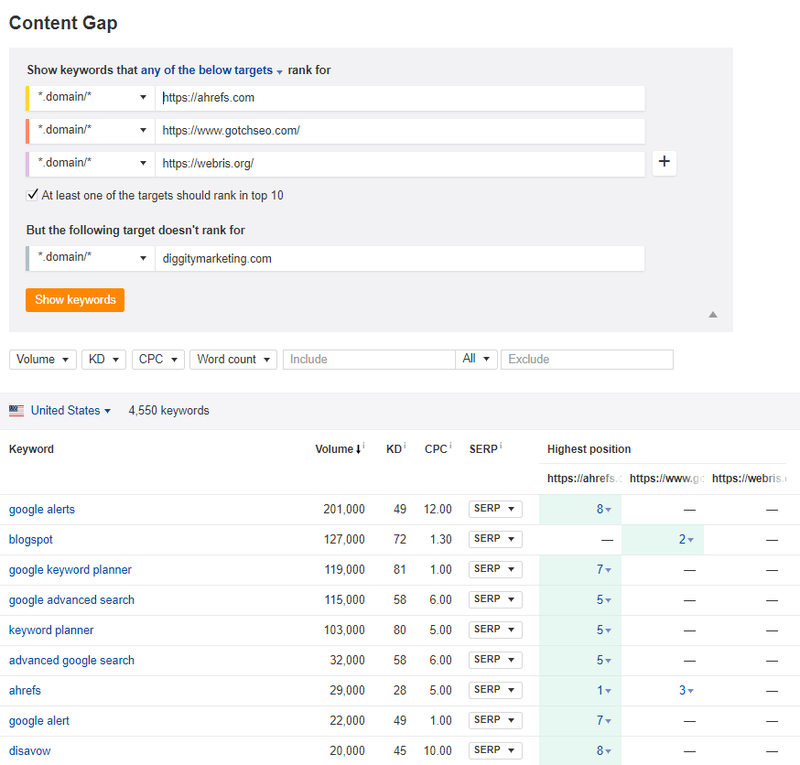 Ahrefs content gap tool is awesome. I am of course bias but its interesting the effect good links can have! Yeah, LOVE the gap tool! Hey, Tom! Thank you for sharing your knowledge. I’m following your story in Project Pyxis. Please, will you continue with that project? I have 6 months with my first affiliate site and have not yet made $ 100 but you are the guy that makes us believe that it is possible. Yeah, Pyxis is really one of those projects I should have let go… they can’t all work out, definitely if you start fresh sites you’re likely to fail a few times before hitting it big. But even if a project doesn’t make you $$$, doesn’t mean it can’t be a great pbn for your next project 🙂 <- failing forward! Awesome post here Tom. 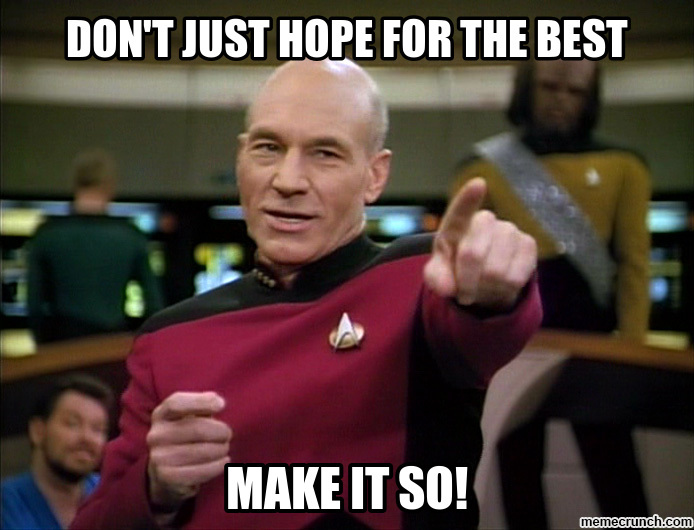 I always believed in the power of supporting content for my local SEO clients as well. 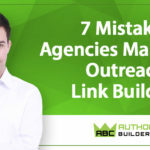 If you’ve read the “black sheep” post by Matt Diggity, then you’d be familiar with the idea of not having too many backlinks on one particular page, as it looks shady. Building them onto supporting content pages which link to the money page is a solid way to go! Hey Tom, thx for sharing this. I basically never went after the snippets (not doing much aff), but getting into it and this will for sure help out a lot. In terms of the rich snippets. When you add all the stats and numbers and such to the paragraphs of your list, do those stats show up in the snippet? Or you are just saying that adding the stats helped your list (h2s) show up in the rich snippet, but not the stats themselves. They usually don’t show up, but rather helped me in getting the snippet. – assuming you use authority builder links that cost $90+, you have spent around .$4.5k on just links (holy fuk). not to mention the cost for content. That was worth reading, thank you. Happy you liked it! That being said, I’d build a few more supporting pages than 3 per money page, the rest sounds good :). Also, my avg cost per gp would be around $150 to $200, but because of interlinking, not only those 2 money pages got a bump, but others as well. Great story Tom! I love it. Just a quick question, do you use a tool to check what featured snippets are available for what keywords in your niche (or around the keyword you are targeting)? Thanks Tom on this great read. 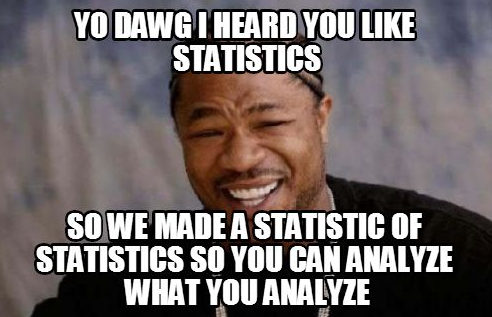 I just want to make sure if I am understanding correctly on step 2 for stats and data points. Do you add that information in the H3 title? Example: 1. Fast car 250mph 2. Fast car 500mph 3. Fast car 1000mph. Thanks! Hi Tom. 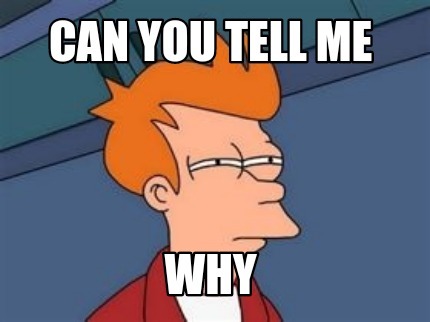 You mentioned parent/child urls for the supporting pages. I’ve used blog posts (instead of pages) in wordpress so creating children in the url is tricky. It would take a lot of work but would you suggest that I change my posts to pages so I can create child urls? Is it that much of a factor? I wouldn’t change the url’s, the upsides wouldn’t outweigh the possible risks. Nice experiment, May i know what was the minimum search volume for supporting pages keywords and were these keyword long tail? Hey, mostly long-tail, don’t need much traffic, anything over 150 sv/mo will work nicely. Thanks for sharing your ranking experience. Could you elaborate more the content gap function from ahref? No worries, glad you liked it! Thanks, Tom for sharing your findings and explaining it so clearly. How about this name for the technique – TOPICAL ISLANDS. I envision an island (the money page) with surrounding little atolls, reefs, and sandbars (the supporting content) which tourists (backlinks) visit all the islands, reefs and sandbars which makes it the newest hot vacation spot! What about “Bloody Topical Island”? Lol :), still need to work in the snippets in there somewhere… something like the “Bloody Topical Snippet Technique (the BTS technique for short)”. What’s the average price you pay per article and where do you find good writers? Hey, usually depends on the project. And I like to try out new providers a lot. Atm, my go-to is https://www.contentellect.com. They’re not well-known and quite new, they use mainly South African writers, I love them! For other projects with a more repeatable content strategy I hire VA’s from onlinejobs.ph and write SOPs for them. The average cost on Onlinejobs.ph would be $20/1000 words and includes finding, compressing and adding images to the content, as well as other additional content tasks that the usual content services don’t provide. A big thank you to both you and Matt for this highly actionable article! 2.if they have the upper hand on quoting stats, figures, facts, per item… they will win the snippet. but still the competitor who only has 3 items gets the snippet, is there anything I can do in this situation? maybe add the facts and figures in to the paragraph to make it easier for the Google algorithm to process? 1. no need to cut down items, I’m just saying it doesn’t really matter. 2. G has def updated whatever part of the algorithm that deals with the snippets since I wrote the case study, I lost a few and gained half back by doing some weird stuff. It’s near impossible to answer your question w/o actually seeing the pages. You really need to check how your comp does their reviews, from word-count to order of elements (could be title, then image, then review, then stats…. or a different order). A recent test that resulted in getting back some lost snippets, was to remove all headings (except the page title) before the H2 list title, so the first heading after the H1 page title, is the H2 list title. I would def discuss the specs both in list form AND in the paragraphs as well. Great strategy Tom, however, how long did it take you to see actual results in rankings/traffic from the moment you did all the guest posts? Because the guest posts were dripfed over time and I didn’t track individual kws related to supporting content, I can’t really answer this conclusively. That being said, I always play on the safe side and assume a 3-month delay between a guest post going live, and it making an impact on rankings. It might seem like a long time, but it allows me to plan way ahead in time (and usually the impact is noticeable earlier, so it’s always a nice surprise). This is interesting but I have a question. What if, for example, you are trying to rank for a term and the top site is a big ecommerce site which ranks for 100s of terms you would not be targeting? Very difficult question to answer, my decision wouldn’t be based on that alone. Need to look the page that is ranking, its authority, structure, etc. Hi Tom, just a question if I may. I understand you have built 18 ages (i.e. 16 supporting and 2 money pages) and close to 50 backlinks (PBNs + GPs) – what was the timeframe you’ve sent all those links to the site? Hey, maybe over 5 to 6 weeks, can’t remember the exact time-frame. Because I was sending the links to multiple pages I wasn’t really worried about any velocity issues. its Great articel, i always reading your post.